Recently I was looking at my wedding and honeymoon photos. Someday I really wish I could go back in time and relive those days. Surrounded by family and friends, dressed in glamorous clothes, eating unbelievably amazing food and then travelling around Europe with my husband. Oh what bliss! 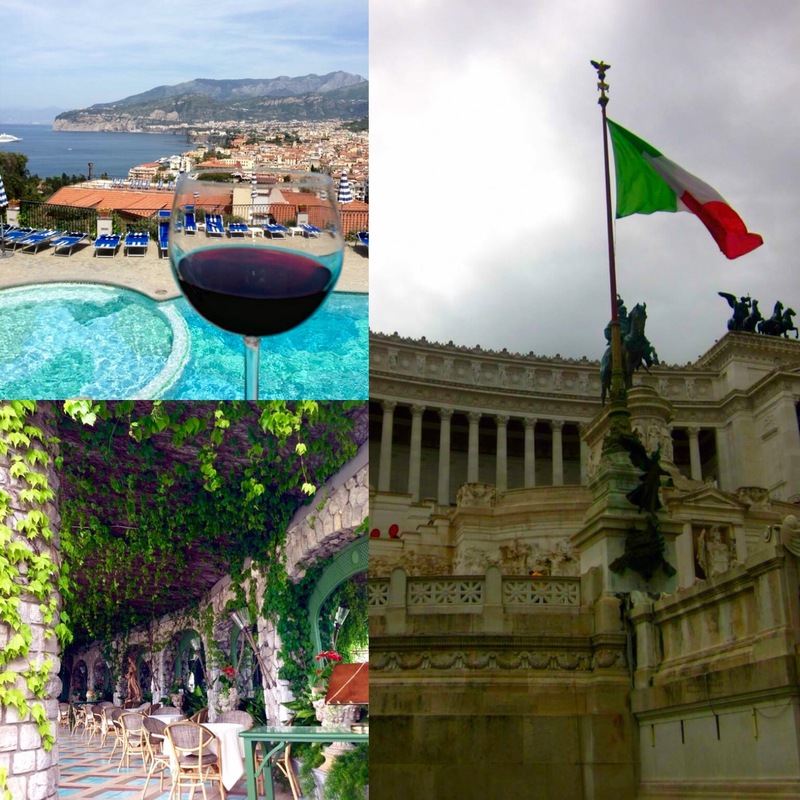 We went to France, Italy, Greece and Austria, mesmerised by each country my husband and I really did not want to come back. 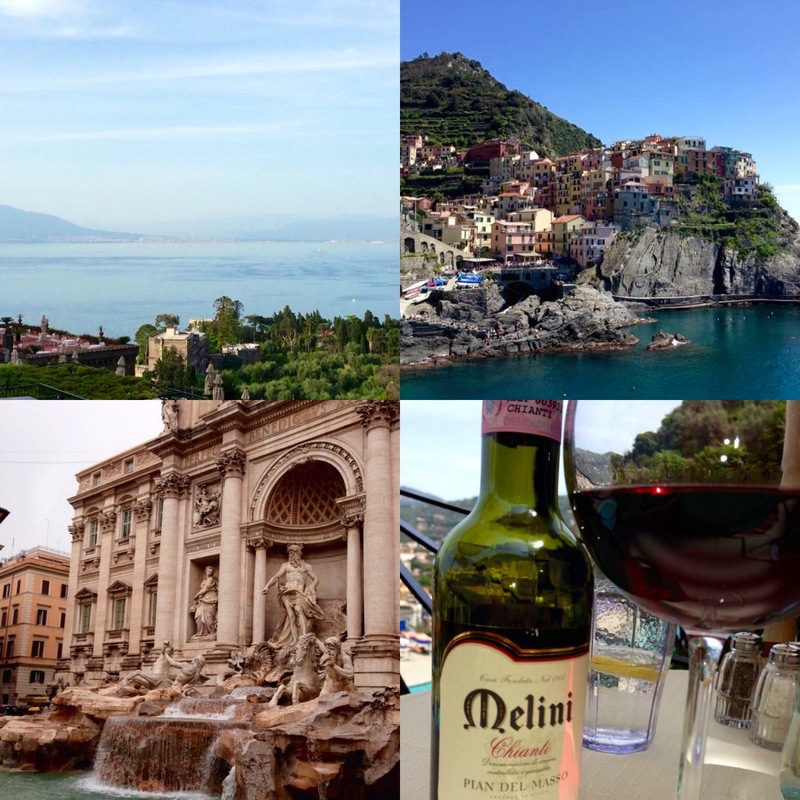 I was really excited about Italy, primarily because I love Italian food and could not wait to try the local cuisine. My obsession with Italian food started quite young but back in those days it was hard to find those fresh and authentic Italian flavours in India. Everything from pizza to pasta was loaded with chilli and oregano and because I knew no better I loved it just as it was. 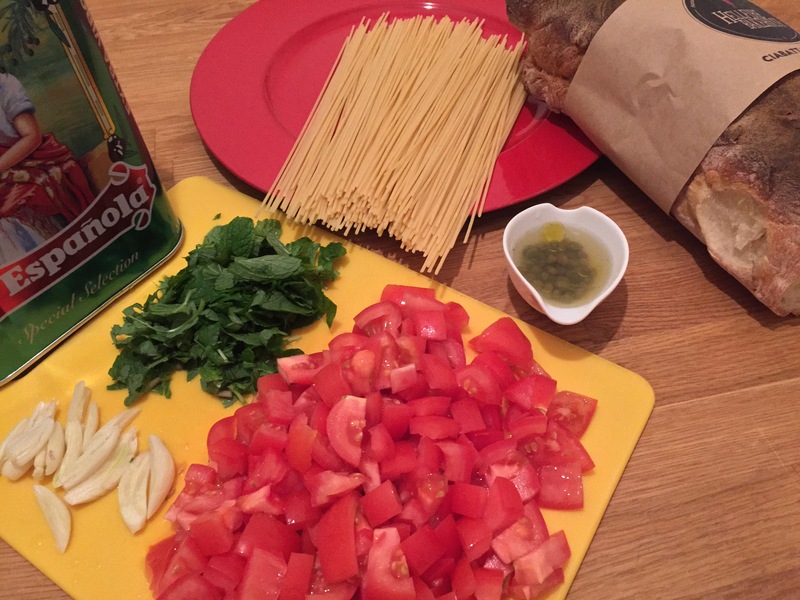 I discovered authentic Italian flavours when I moved to Australia and met my sister-in-law and her family. Their food is simple and uncomplicated yet it packs so much of a flavour punch that each bite is like a party in your mouth. 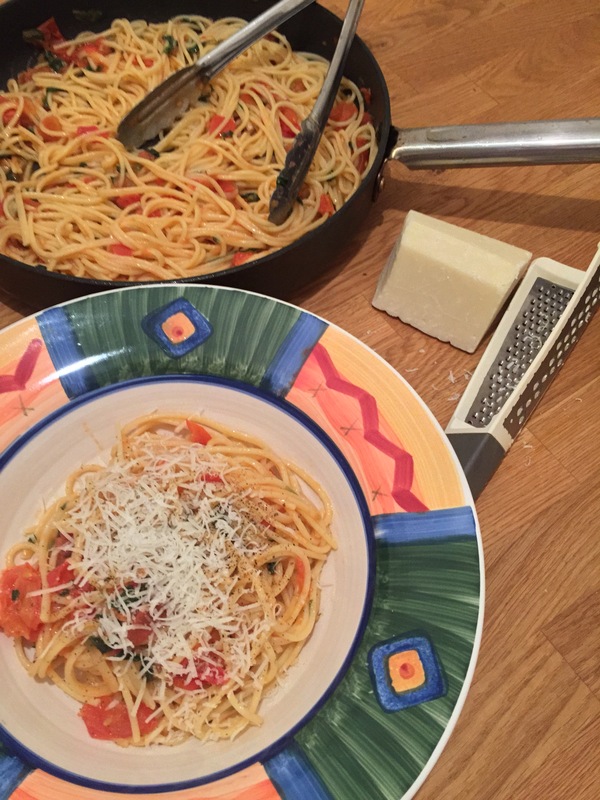 Similarly in my travels around Italy it wasn’t the fancy meals that I enjoyed but the simple ones, using a few ingredients and cooked with love. Add to that the beautiful red wine from the region, the warmth and passion of the locals, I was truly in food heaven. 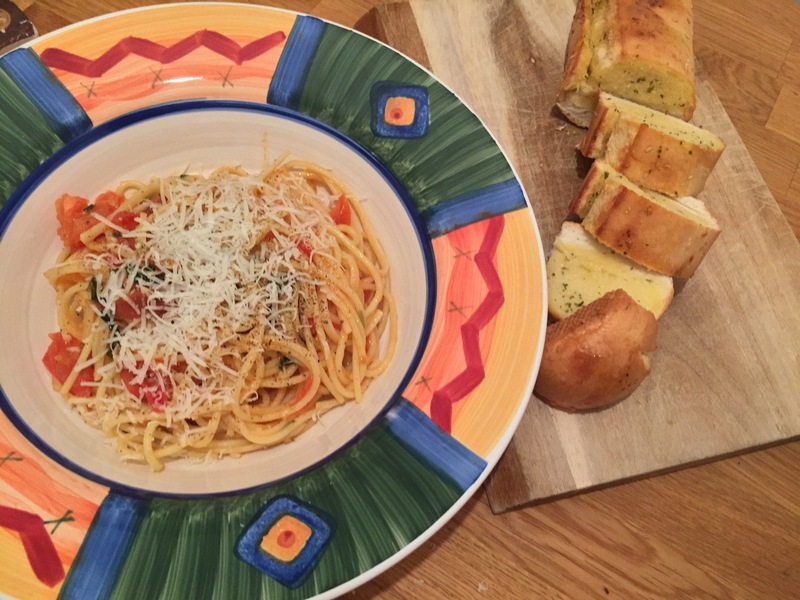 Today’s pasta dish is inspired by those simple yet bold and fresh Italian flavours. Spaghetti Napoli was my go to dish when we were in Naples. The sweet tomatoes, fresh herbs and al dente spaghetti gosh I never seemed to get enough of it. My version has a bit of a twist, I am using the freshness of mint to elevate this dish to the next level. Believe me when I say tomato and mint is a match made in heaven. In a deep saucepan bring water to a boil, add salt, followed by the spaghetti and cook as per packet instructions. Until al dente. To make the sauce, heat extra virgin olive oil in a pan. Add the roughly chopped garlic and cook until aromatic. Once the oil is aromatic, you can remove the garlic if you don’t like chunks of garlic through your pasta. 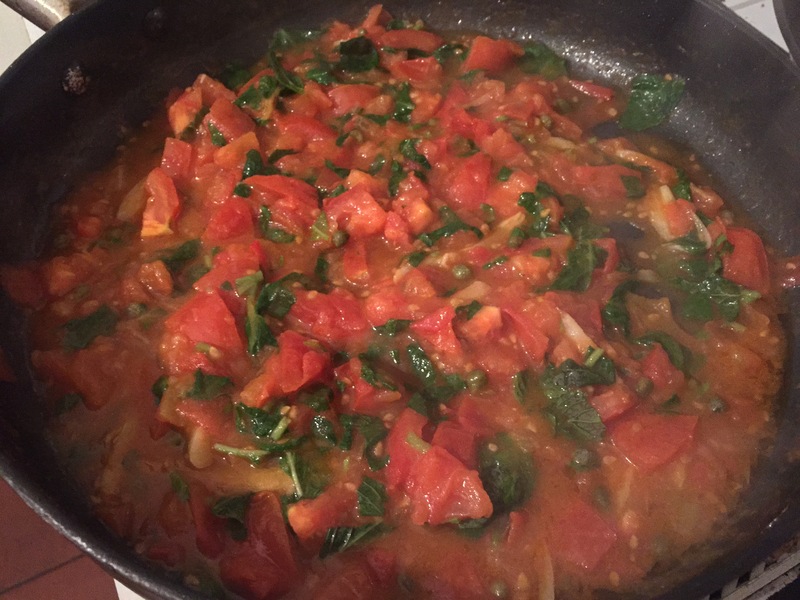 Now add the chopped tomatoes and cook on a medium heat for seven to ten minutes until the tomatoes are soft. Next add capers, fresh mint leaves and season with salt as desired. If you are not fan of capers you can replace them with olives. Finally add the pasta and toss through, ensuring the sauce is evenly coating the spaghetti. If serving this dish to kids you can replace the spaghetti with penne or fusilli pasta as it would be less messy when the little ones eat. To serve garnish with grated Parmesan cheese or just cracked pepper for a vegan friendly option. Serve hot alongside some garlic bread or a simple green salad. Enjoy this Italian sensation with a glass of red and the company of your family and friends. Sounds delicious! Love the pictures!